Could making healthy food choices every single day really be that simple? Not quite. However, there are some smart tricks that could definitely help the cause! Our Nutritionist, Renee Leonard-Stainton shares some simple life hacks. 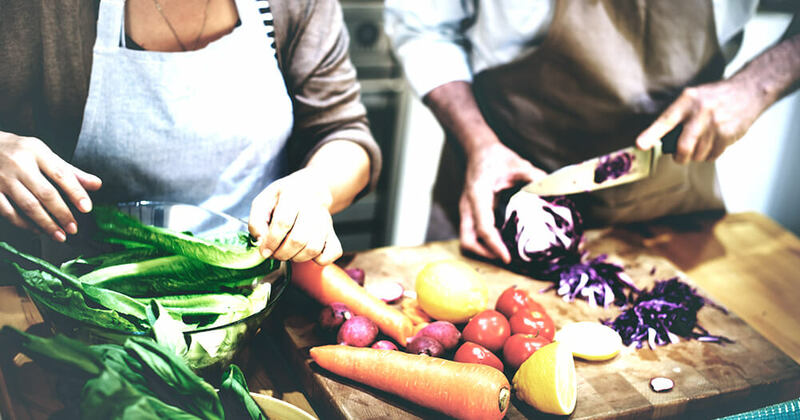 If you’re in the kitchen at night chopping, frying, baking and simmering up a storm for dinner, it makes sense to make enough to be able to pack leftovers of your healthy concoction to take to work the following day. Having a healthy meal on hand helps to quell the temptation to race out for a quick burger or kebab on your break. But why not take your meal prep one step further and consider making a triple batch of your evening meal. You’ve already gone to all of the trouble of planning what to make, sourcing the ingredients and cooking and cleaning, so you’re onto a winner if you can make enough to be able to freeze a meal or two while you’re at it. Having healthy options stacked in the freezer (or defrosting in the fridge if you’re super organised in the morning!) will help when you get home from the office and calling for take-out seems like the only thing you have the energy left to do. How tempting is that office biscuit stash when the notorious 3pm slump hits? Or an extra sneaky slice of your colleague’s triple layer birthday cake as pre-lunch hunger sets in? Food is an easy and often welcome distraction from work. 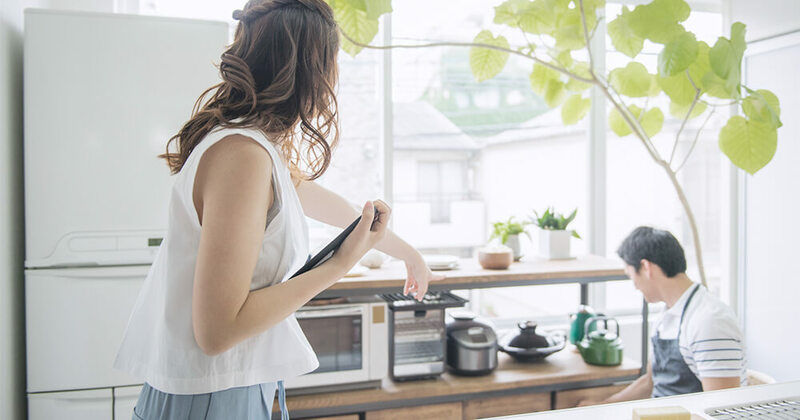 So, if you find yourself often thinking about food or snacking on unhealthy yet convenient choices, it’s time to stock your desk drawers full of healthy snacks to avoid the temptations around. Think nuts and seeds, dried fruit, protein bars and bliss balls for your drawers, and perhaps keep a fruit selection and hummus and baby carrots in the fridge to whip out when the hunger (or boredom) strikes. Planning meals can seem like an arduous task when you’ve got a million other things to organise. However, when you add up the time you spend angsting each night over what to make, a little time on a Sunday evening planning your meals can save you a lot of time and stress during the week. Pinterest is a fantastic site for saving meal ideas and plans in one easy to access space. If you arrive at a party or dinner starving, you’re more likely to fill up on greasy hors d'oeuvres or starchy fillers. Deep-fried spring rolls at a party or the bread basket pre-dinner at a restaurant can be demolished in seconds. Consider having a healthy snack before you arrive to take that edge off your hunger. You’ll probably find you’re much better company too if you’re not tracking the waiter around the room! We’ve all been there. You’re ravenous after work and race into the supermarket to do a quick shop for dinner, but end up walking out with double what was on your list. Chicken, lettuce and tomatoes may have been your targets, but somehow, chips, ice cream and chocolate made their way into your basket too. If we shop when hungry, temptation can get the better of our pre-planned best intentions, and we’re more inclined to throw treats into the trolley. 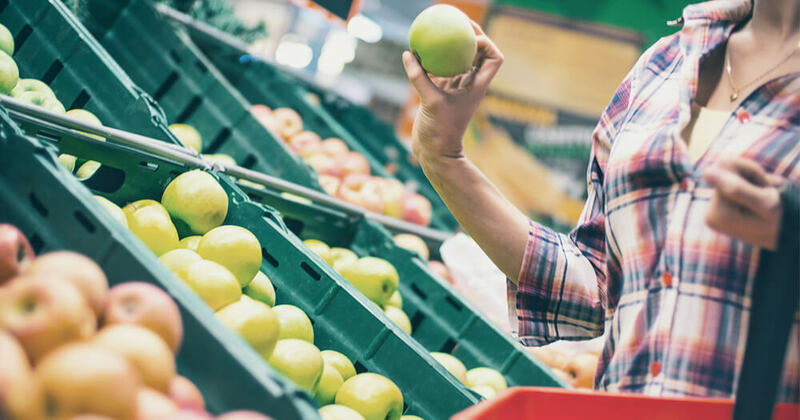 Aim to hit the supermarket with a full tummy and you’ll be much more likely to stick to your shopping list and keep on track with your healthy eating goals. If time just isn’t your friend when it comes to making healthy meals, consider buying pre-chopped vegetables. Most of the time spent cooking is in the preparation, and if you give yourself a head start (because, really, who actually enjoys peeling pumpkin or crying into a chopping board full of onion?) you’ll hopefully be less inclined to reach for convenience options or pre-packed processed food. It sounds like simple advice, and it is. The not-so-simple part is sticking to it! The aim here is to reduce your access to unhealthy foods by stocking your pantry and fridge full of healthy choices and leaving the junk food and treats to special occasions when you’re out. It’s pretty easy to make the right snack choices for your post-dinner Netflix binge if there just isn’t the lure of fudge lurking behind pantry doors! If you want to inspire people to live their healthiest life, a career in Nutrition may be perfect for you. Find out more about the industry here.